The UK’s number one car finance website Car Loan 4U offer their advice for anyone looking to buy a new car soon. A good piece of advice for anyone looking in to their new car credit options is to use a good car finance calculator. March has always traditionally been one of the busiest times of year for the purchase of new cars and this March is no different - it is set to be the biggest month of 2012 for the UK car industry. Research by industry body the Society of Motor Manufacturers and Traders (SMMT) predicts that motorists will spend £5 billion on new cars this March. Anyone considering buying a new car and looking for car finance should use an online car finance calculator in order to calculate what they can borrow, as well as to help them find a way to find out more about affordable car finance options. “Now that the new ’12 plates are on sale many motorists will consider upgrading their vehicles and purchase a new car. For many people that will involve car finance options. “A good piece of advice for anyone looking in to their new car credit options is to use a good car finance calculator. A good car finance calculator, such as the one listed on http://www.carloan4u.co.uk/car-finance-calculator.html will let you add the amount you wish to borrow, your repayment method and your deposit amount. You can also add your credit score if you know it. Car Loan 4U prides itself on offering a great service to customers. A team of dedicated car loan advisors are on hand to help guide customers through the entire car credit process. 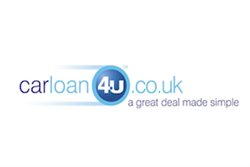 For more information visit: http://www.carloan4u.co.uk.